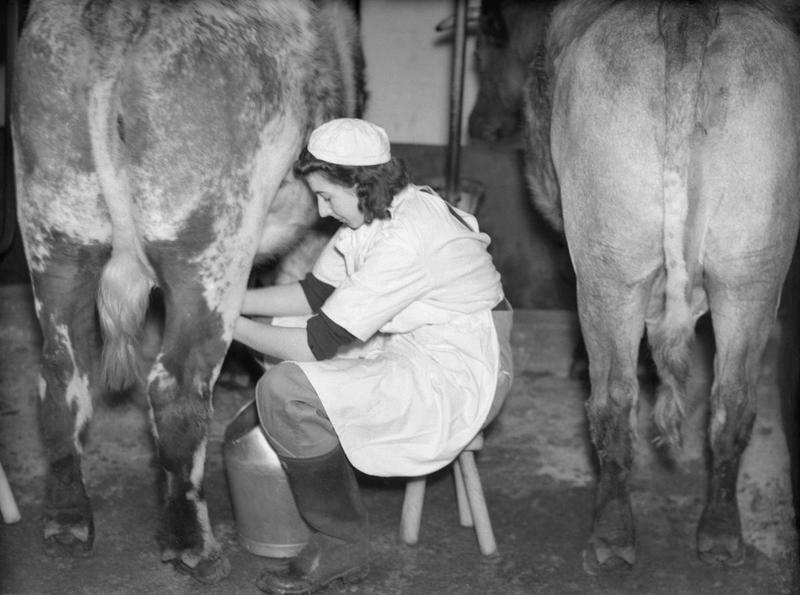 A member of the Women’s Land Army milks a cow, probably at the WLA training centre at Cannington, Somerset, c 1940. 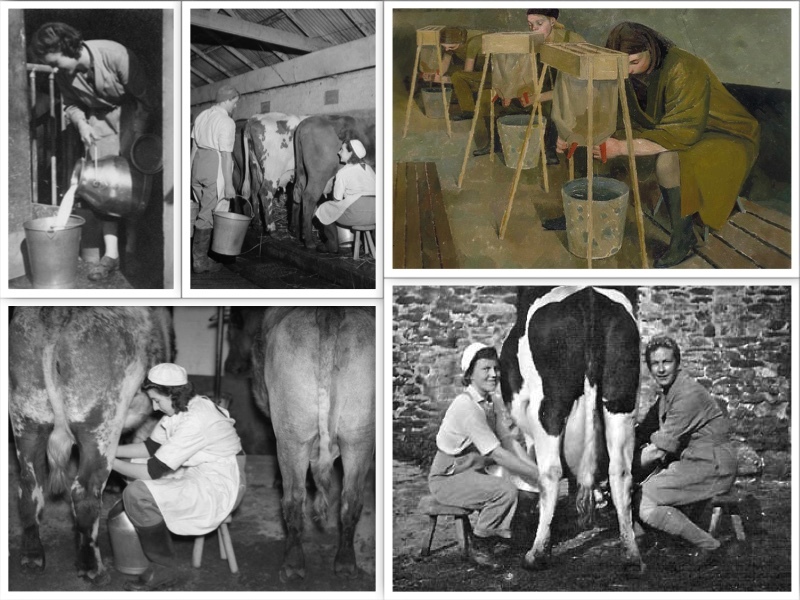 Land Girls were sometimes responsible for over 30-40 cows which posed quite a daunting prospect for some new girls who didn’t even know what a cow was! The day usually began and ended with the milking of the cow (according to Mant, taking 7 – 10 minutes), which in the majority of cases went with a hygiene routine of washing the udders and milking equipment (if farms were lucky enough to have the luxury of this mechanism). Other tasks included recording the yields of the cow to delivering the milk to the local community. This again shows the level (and range) of responsibility which a typical Land Girl had on her shoulders as well as illustrating some of the skills which she would have developed over the years. Click on the above image to be taken to the ‘January Farming Activity of the Month’, which provides details on each photo.